D.I. Auto Care in Phoenix, Arizona has announced that they are now providing customers with mobile detailing services for their exotic vehicles. The company states that their auto cleaning services can be done at the customer’s home, office or other location of their choice. Paul says that the technicians at D.I. Auto Care are all trained in cleaning all makes and models of vehicles, even those that would be classified as luxury or exotic. He says that they work with a number of makes and models and that all of their staff has the experience and education needed to carefully yet effectively detail a car, truck or SUV of any size, shape or brand. Paul says that whether or not an owner is planning to enter their classic or exotic car into a show or they just want it pristine for showing off at home, the company has the experience necessary to detail those vehicles and make them shine like new. 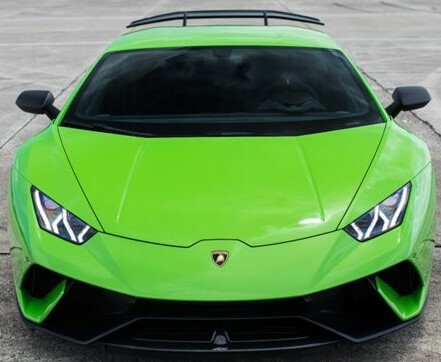 He says that their exotic car detailing services are available all throughout Phoenix and that their mobile services make it much easier for owners of these vehicles to get them cleaned. Paul says that there are a number of benefits to having a car detailed. Aside from removing road grime and other debris, he states that having a car thoroughly cleaned can increase its resell value. For those who are considering selling their exotic car, having it detailed will help to raise the monetary value and make it perfect for showing to potential buyers. Paul says that having an automobile detailed also helps to protect it from rust and other damage. He states that debris that a car can collect when being driven can build up and cause rust to form. Having the car detailed will remove that debris and keep the car clean and safe from rust and other problems, which he says is another good way to increase the value of the vehicle. Paul says that after the car has been thoroughly detailed, the owner can then keep it looking its best with smaller, more minor cleanings. He states that having a car waxed regularly helps to protect the vehicle from oxidation and rust from contaminants and that the company adds waxing as part of their overall detailing for vehicles. Paul states that those who are interested in having an exotic car detailed simply have to contact them to schedule an appointment for the detail. He says that the company will gather some basic information, such as location and make and model of the vehicle, and then schedule an appointment. The technician doing the detail work will then show up at the right time and place and the company brings everything needed to detail the vehicle. Paul says that it is the simplest way to keep an exotic car looking its best. He says that those who want to know about pricing can inquire about a quote when they contact the company for an appointment. The company says that they offer mobile services to help owners of exotic cars to get them cleaned and protected without spending too much of their own time in doing so. D.I. Auto Care caters to busy customers by detailing their classic or exotic cars and trucks, SUVs, regular vehicles, airplanes, boats and more. Those who are interested in learning more about their services or their history can visit D.I. Auto Care on their official website. The website offers a look at the types of vehicles that the company details as well as testimonials and reviews from past customers. Paul says that those who are interested in the company's mobile detailing services can contact the company directly or through their website to schedule the appointment. The website gives more information about the company in general and their experience in working with exotic vehicles.